In 1924 Rudolf Steiner, the founder of Bio Dynamic Agriculture, discussed in his Agriculture Lectures how we must view the soil as being alive and full of life-giving forces. Also, how a living soil is akin to a plant and how plants themselves are an extension of the soil. This vitality is passed on to us through the energy contained in foods grown from healthy, living soils. That wellspring of life energy is not to be found in soils that have plant nutrients applied in a synthetic, chemical form. Steiner also stressed the importance of making a farm so self contained that it becomes self sustaining; its soil’s fertility is generated, conserved and recycled and the farm becomes its own entity. Creating and applying compost made from spent plants, cover crops and animal manure produced on site is the best way to realize this. The farm’s soil fertility becomes individualized to the land. How different this is from relying on importing soil amendments from different regions or even from different countries. Current scientific research is discovering how very complex the living soil is. There is a complex relationship between soil mycorrhizae – bacteria and fungi – and the plant kingdom. Plants produce sugars through photosynthesis. These sugars are exuded from plants’ roots into the surrounding soil, which feeds the soil fungi and bacteria. In turn, these soil borne microorganisms help dissolve minerals and nutrients essential for plant growth and make them available in a form that plants can use. The end result is that we get food which is much richer in vitamins and minerals than vegetables grown with synthetic fertilizers. These microorganisms also allow plants to communicate with one and another! Mycorrhizae form a giant underground web connecting plants together. Plants that are being attacked by harmful insect pests pass the word on to other plants, which may protect themselves by making bad tasting chemicals, or chemicals that mimic predatory insect pheromones. These pheromones draw the plant allies into the farm or garden and they keep the bad bugs in check. What a great system! 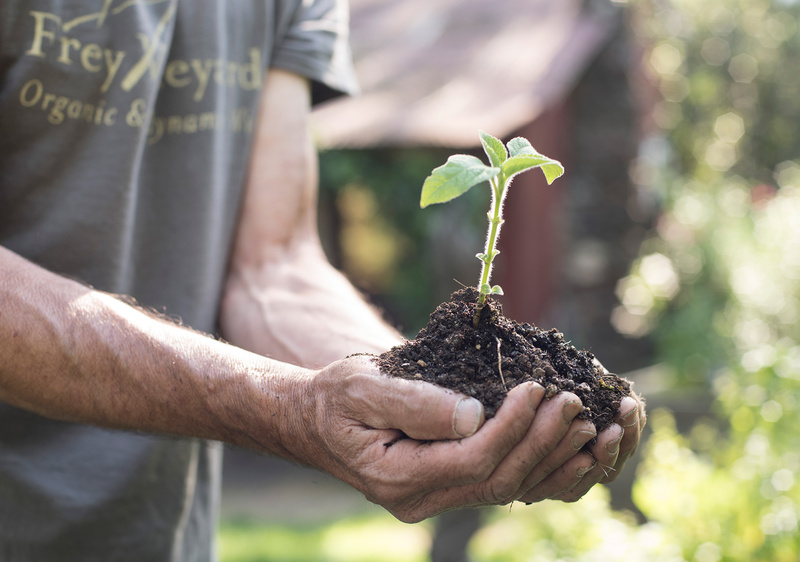 Bio Dynamics means “life engenders life” and healthy living soil creats vibrant, healthy ecosystems and people – a wonderful testimony to this way of farming.